“ The Sheep Shearers. 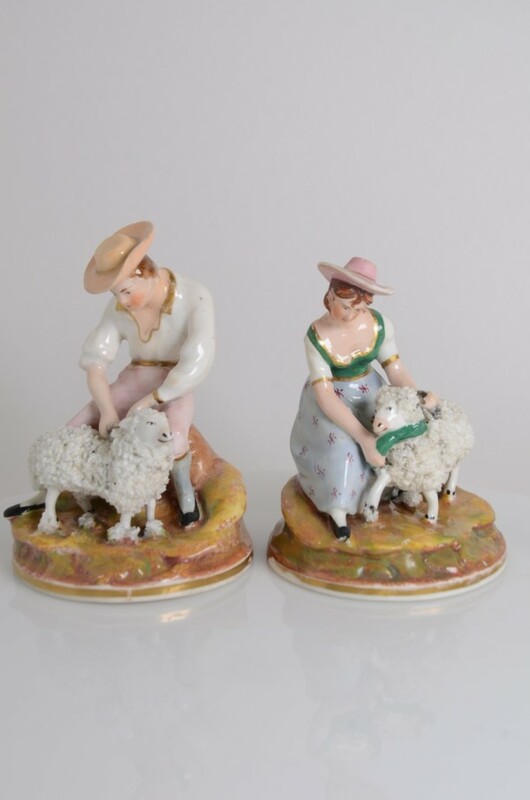 A finely modelled and painted pair of figures. The Shepherd shearing his sheep and the shepherdess holding her sheep in readiness for the shearer.